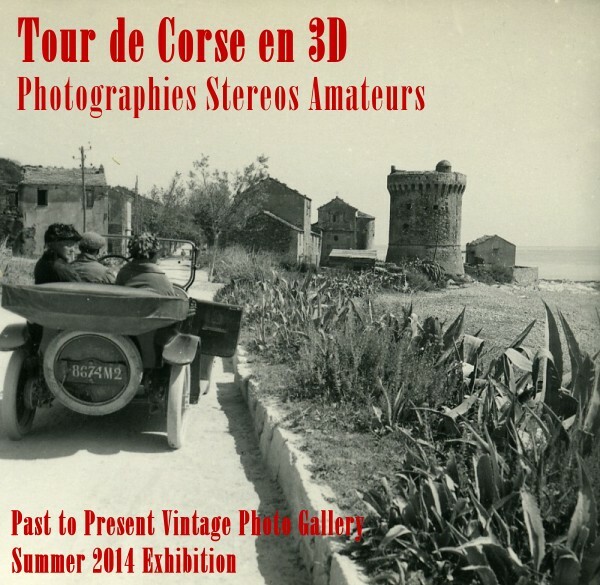 Our Summer 2014 exhibition presents a nice collection of stereoviews of Corsica by a very good amateur photographer whose name is believed to be Possemiers. We have very little information about Mr Possemiers, except that he lived in Antwerp, had 2 daughters and died before 1945. He had a large collection of early 1900's stereoviews mainly by German studio NPG as well as others. He also took hundreds of stereoviews himself including many of Switzerland and Corsica. We've tried to group the 169 views of this exhibit by location but some photos are probably out of place. Other views of Corsica are also available in our inventory outside of this exhibit. A new exhibition is added every 3 to 4 months, depending on our inventory and new acquisitions.